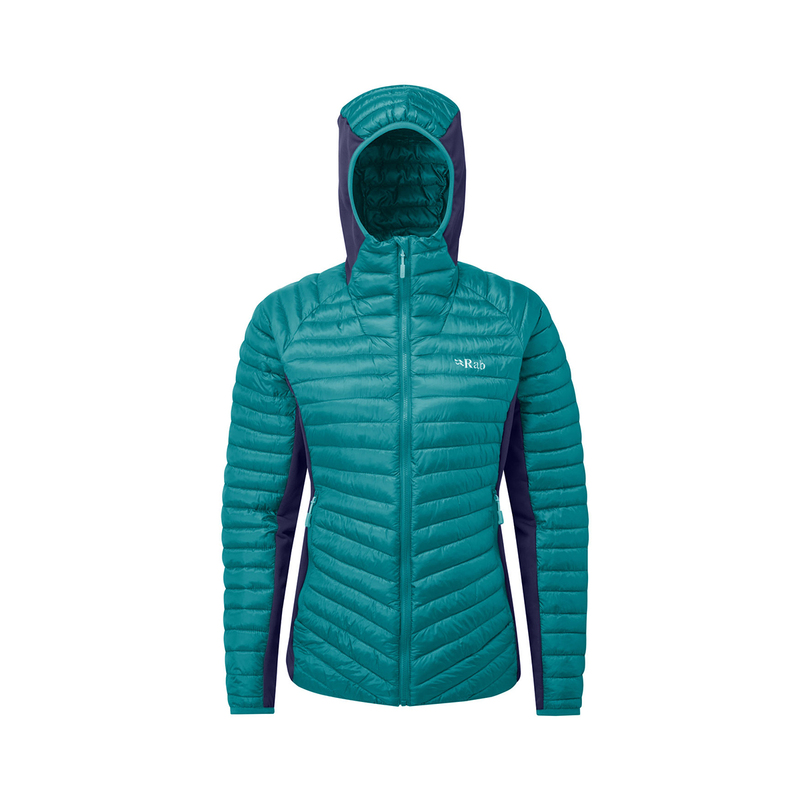 The Rab Women's Cirrus Flex Hoody is a lightweight synthetic down jacket designed with fast-moving activities in mind. Besides being warm when wet and very packable, the Cirrus 3M Featherless insulation offers a high breathability in order to better regulate temperature, much like regular down does. Thermic stretch fleece panels enhance flexibility and air permeability further, and a slim fit ensures maximum breathability is achieved. Other features include a Hyperlite™ rip-stop outer and lining fabric that's both water- and abrasion-resistant. All in all a warm midlayer or light outer that regulates body temperature effectively and performs even in cold and wet conditions.